For a while now, Android users have complained of an issue in the Google Play Store that showed sideloaded apps or those installed from a 3rd party market as “Purchased” when clearly they had not been. Well, they may have been from another store, but since they were not purchased from Google, this was causing issues. 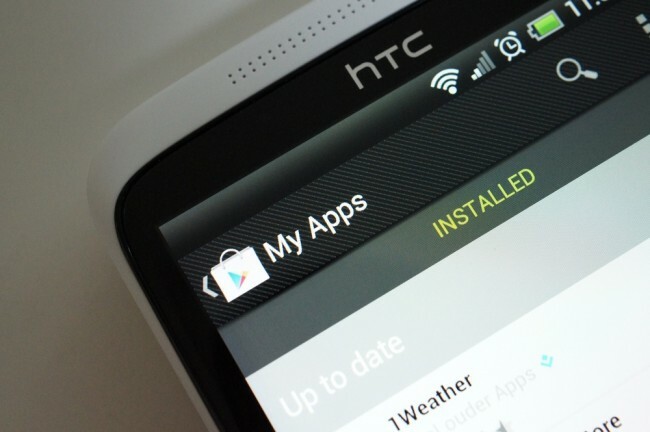 If a user decided that they wanted to purchase or update some of these apps through Google Play, they were not able to since they were installed through other means. This issue, has apparently been fixed now that the Store is up to version 3.5+. To test it it, I installed apps from the newest Humble Bundle, then cruised into the Play Store and noticed that none of the apps were showing as installed on my phone. I could also choose to purchase them even though they were already installed. It’s an issue that I had never noticed before, but clearly it affected many of you. Thanks again for contacting us and for your patience while we’ve been working on a resolution to the issue you reported. We’ve recently rolled out some changes to the newest version of the Google Play Store app (version 3.5 and higher) that should fix the issue you reported. Once you’re running version 3.5 or higher of Google Play, you should be able to update apps if you were having trouble, or if your apps were incorrectly listed as “Purchased” on Google Play, this status should be cleared, allowing you to buy those apps. Please note that the “Purchase” status is cleared because the app(s) in question were never bought on Google Play in the first place, which is why you’ll be asked to buy the app again. To confirm the app(s) were never purchased on Google Play, you can visit wallet.google.com/manage to see a complete purchase history. If you have version 3.5 or higher of the Google Play Store app and you’re still experiencing issues with a “Download declined” error, please let me know, and I’m happy to investigate further. Not sure what version of Google Play you’re running? Launch Google Play on your device, tap Menu > Settings > Build version. Cheers Shane, Daniel and petrochemicals! Wednesday Poll: Would you care if Google sold off Motorola's handset business?